Gavin Smith is President and Chairman of Robert Bosch Australia, having held many positions within Bosch since 1997, both locally and in Germany. He is a Non-Executive Director of joint venture company FMP, the Stillwell Motor Group, and the German-Australian Chamber of Industry and Commerce (AHK). Gavin is a passionate advocate of Road Safety initiatives. 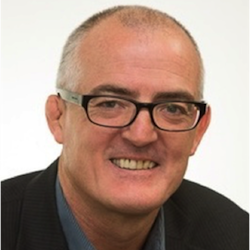 Mike is CEO of the FoodAgility Cooperative Research Centre, empowering Australia’s food industry through digital transformation. Mike co-founded the IoTAA, Capital Markets CRC, agtech business The Yield and e-research service provider Intersect. His pioneering efforts in fintech and e-research led to the global success of SIRCA and the founding of big data company RoZetta. 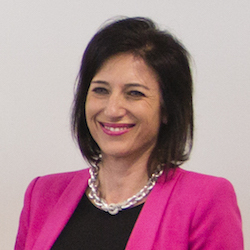 Jackie has over 30 years of business experience, including, in 2000, founding Hannover Fairs Australia which built and launched CeBIT Australia. Nominated in The Australian’s Top 50 Most Influential People in IT and telecos in 2013 and 2014, she has led numerous international trade delegations. A global expert in smart cities & digital transformation, Catherine is founder of Giant Ideas for Smart Cities and a Director of Meshed, a Sydney based IoT integration company. Catherine was recognised in Knowledge Nation as one of our leading thinkers in big data & smart cities.